As a pastor of Sojourn Galleria, Taylor oversees the preaching ministry at Sojourn, and he provides overall leadership for the ministries of Sojourn Galleria Church. Both he and Robin, his wife, are Houston natives, and they are excited to be joining in with what God is doing in the Galleria area of Houston! Taylor studied at Wake Forest University (history), Reformed Theological Seminary (divinity), and The University of Edinburgh, New College (Hebrew and Old Testament). He is a 2015 graduate of the Houston Church Planting Network finishing residency. As Sojourn Kids Coordinator, Ashley oversees the ministry of Sojourn Kids, providing leadership for the kids team, and focused on presenting age-appropriate gospel instruction to the children of Sojourn. She and her husband Robert have been faithful members at Sojourn Galleria since it was planted. Ashley is a graduate of the University of Texas in Austin, having completed her undergraduate degree in elementary education. Previous to her serving in her Sojourn Kids role, she was a 4th grade teacher at Oates Elementary (2 years) and KIPP SHARP (3 years). As the administrative manager at Sojourn Galleria, Meryl oversees and maintains many of the daily operations and communication platforms of the church. She and her husband, Justin, along with their three boys (Josiah, Samuel, and Levi) have called Sojourn Galleria home since June 2017. Meryl has an undergraduate degree in Business Management and Psychology from Houston Baptist University. She has previously taught in an elementary school setting. Paul is preparing to start a new Sojourn church in the “Braeswood Place” area of Houston. At Sojourn Galleria, Paul is growing as a church planter, directing our gathered worship on Sundays, and preaching about once per month. 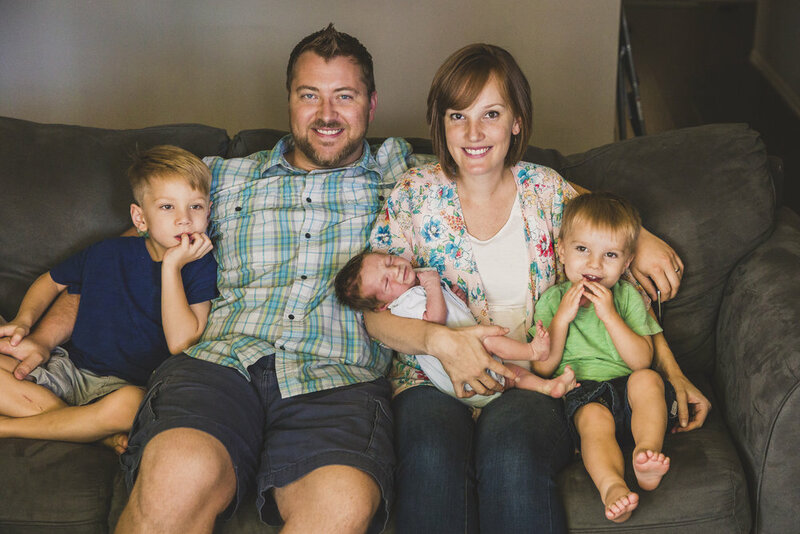 He and his wife Lindsey, and his two daughters, Tallulah and Harper, have been with Sojourn Galleria since April 2017. Paul studied at Emory University (physics and philosophy), and then taught geometry and physics with Teach For America in Houston (for 3 years at Spring Woods High School). He is currently enrolled at Reformed Theological Seminary (divinity) and is concurrently in a church planting residency with Sojourn Houston and the Houston Church Planting Network. Sojourn Galleria is an elder-led church. While the word elder is used here and in our foundational documents, Sojourn uses the words pastor and elder interchangeably. At Sojourn, our elders oversee the doctrine, discipline, and direction of the church. These men may or may not be paid by the church, but they share the responsibility of shepherding our church with wisdom and integrity (Ephesians 4:1-16, 1 Peter 5). As a new church plant, our founding pastor, Taylor Ince, is the only elder at present. Accordingly, in keeping with the structure of the Sojourn Houston family of churches, Taylor leads Sojourn Galleria Church under the oversight of the Sojourn Houston board of elders. Our neighborhood parishes are, in many ways, the backbone of the day-to-day ministry that happens at and through Sojourn Galleria. Our neighborhood parishes are led by men and women, each qualified (1 Timothy 3:8-13) and ordained (Acts 6:1-6) deacons for the purpose of fostering gospel family in their parishes.